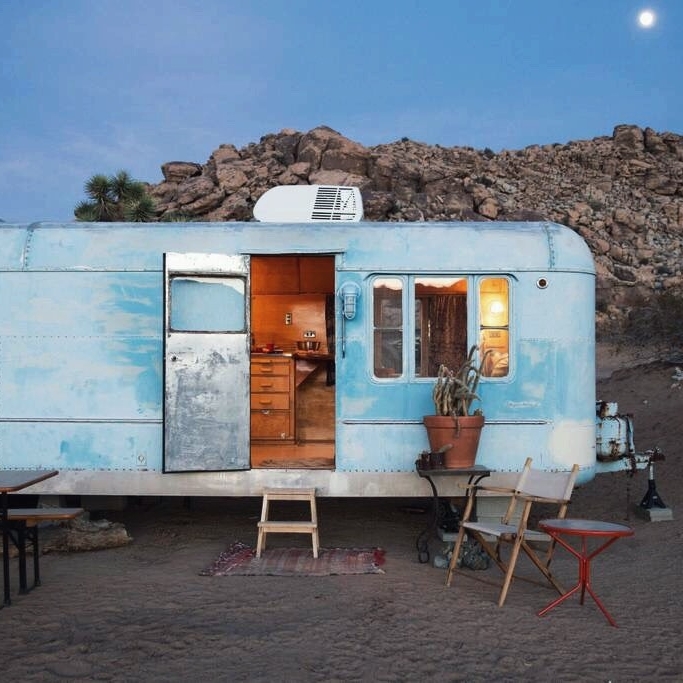 This beautifully renovated trailer in the desert of Joshua Tree is a little gem filled with stunning textiles, honey colored wood, and the most gorgeous redwood shower (complete with stained glass window). Located only one mile away from the park entrance, it makes a perfect home base for a weekend of hiking & exploring. Or maybe you simply spend the days lounging inside the spacious trailer with a good book followed by an evening grilling outside and soaking up the stunning sunsets and night sky of the California high desert. Either way - be sure to book this spot for your next romantic getaway or solo desert retreat.